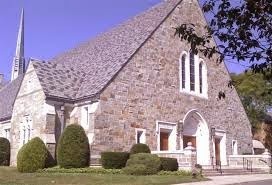 Trumbull, CT, will host its third traditional Mass on Sunday, March 22 at 2:30 p.m. The Rev. Shawn Cutler, Parochial Vicar, will celebrate his first Solemn High Mass with the pastor, the Rev. Brian Gannon, as deacon. The parish choir, under the direction of Dr. Carolina Flores, will sing the Mass propers for Passion Sunday,as well as a polyphonic setting of the mass.